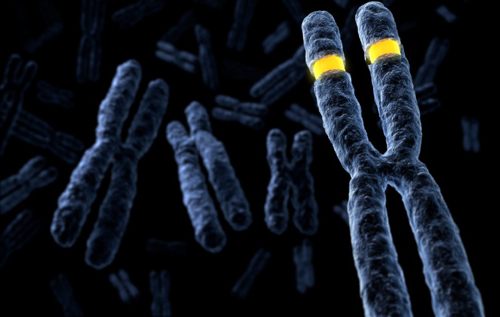 Scientists at the National Institutes of Health (NIH) have developed a set of assays that they say are robust, inexpensive, and suitable for initial patient screening of patients with Fragile X-related disorders. The specifics of new diagnostic tests for Fragile X syndrome, the most common heritable cause of intellectual disability and a frequent cause of autism, were described in an article—“A Set of Assays for the Comprehensive Analysis of FMR1 Alleles in the Fragile X–Related Disorders”—published recently in the Journal of Molecular Diagnostics. Amazingly, the newly developed assays have the ability to amplify alleles with up to approximately 1,000 repeats, even in samples from patients who are mosaic, i.e., who have a mixture of cells with different repeat numbers. Moreover, the assays are sensitive enough to analyze saliva samples with minimal purification. Testing can be completed within a timeframe similar to that of recent commercial diagnostic assays (typically less than 24 hours to determine repeat size and methylation status, less than 24 hours to determine the interruption status and percent methylation) and are comparable regarding hands-on time required. These assays make it possible to detect even small changes in DNA methylation, making them useful in the hunt for new drugs to reverse the effects of repeat expansion. “The basic assays for repeat number, methylation status, and the number of uninterrupted repeats costs less than five dollars—the mark typically considered the threshold for population-based screening,” noted lead study author Bruce Hayward, Ph.D., senior research fellow in the laboratory of cell and molecular biology at the NIH. In order to develop these assays, the researchers modified an established PCR protocol that was capable of sizing only small alleles, to enable it to size larger ones. The investigators are now hopeful that these assays will be used by various laboratories that are studying the events associated with early embryonic development and the effect of repeat length and methylation status on gene expression and differentiation. “Without the ability to verify the CGG-repeat number and methylation status, it is impossible to distinguish between bona fide developmentally-regulated changes and artifacts arising from the instability in repeat number and methylation commonly associated with these cells,” Dr. Usdin concluded.